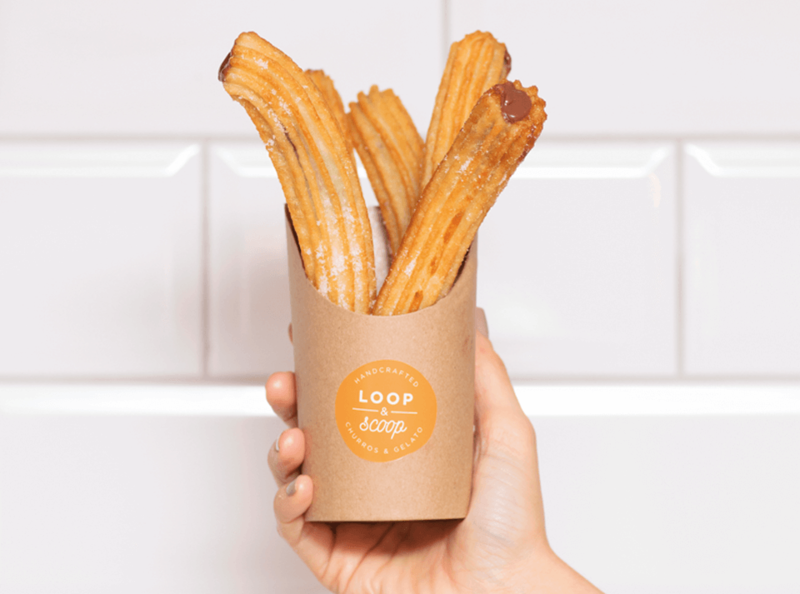 Loop & Scoop is the UK’s first Ice Cream & Churro Bar. 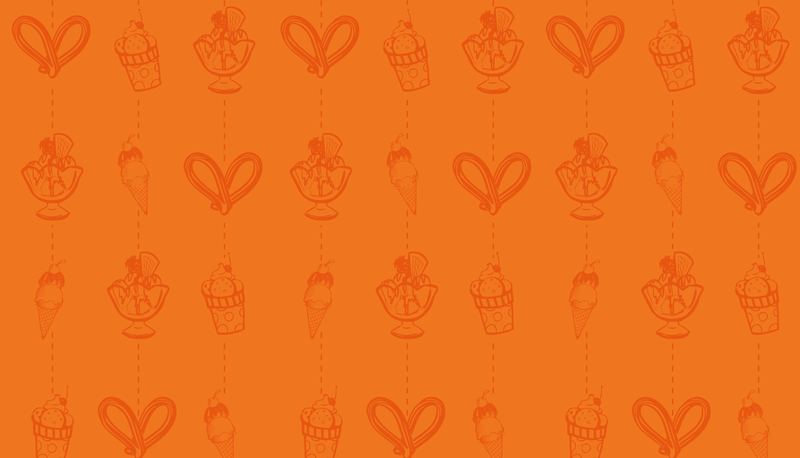 A love of ice cream, great coffee and the desire to create something a little different for Glasgow inspired us to develop the concept of Loop & Scoop. 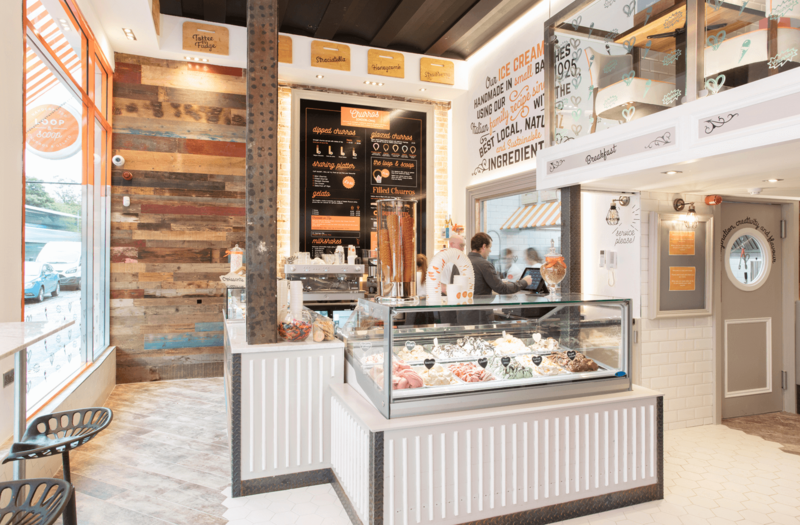 Our unique menu includes a range of handmade ice cream and churros produced onsite using the highest quality ingredients. Our signature dish using our glazed loop & handmade gelato. 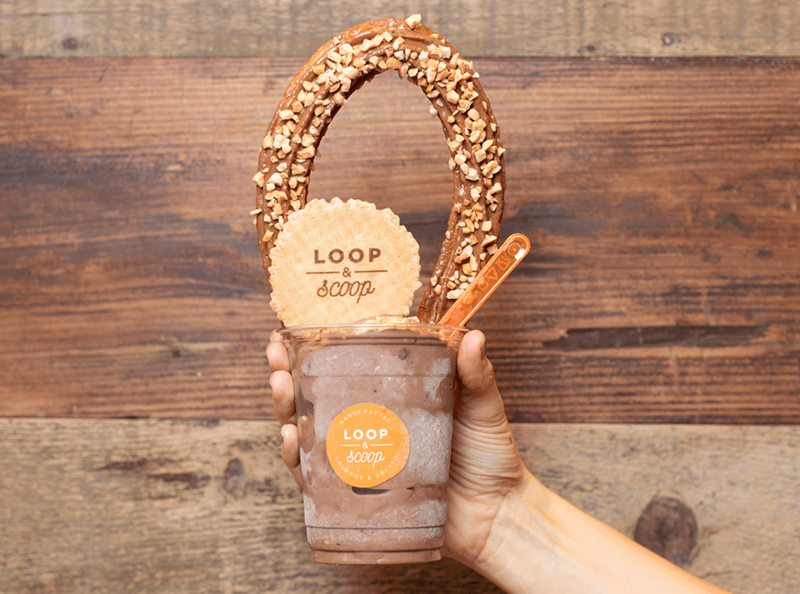 Select your glazed loop from what we have in store and add a scoop of gelato. Hollow churro filled with your choice of sauce, Nuttela, Dulce de Leche or Peanut Butter. 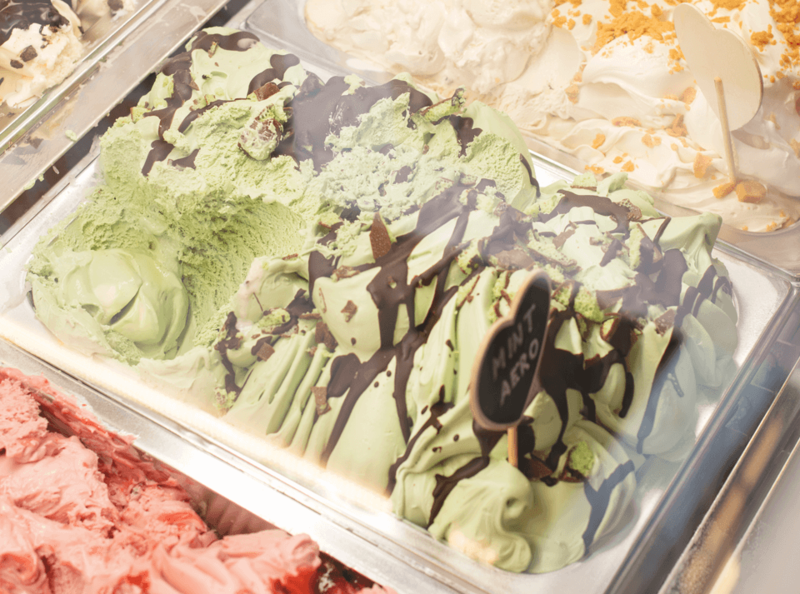 We imagine, create and develop our range of Gelato Flavours Daily. Have a look in our cabinet when you arrive to see what we have came up with today! What we have above is only a selection of what we have on offer! Take a look at our full menu using the button below.